You have been able to run Microsoft Windows on AWS since 2008 (my ancient post, Big Day for Amazon EC2: Production, SLA, Windows, and 4 New Capabilities, shows you just how far AWS come in a little over a decade). According to IDC, AWS has nearly twice as many Windows Server instances in the cloud as the next largest cloud provider. Today, we believe that AWS is the best place to run Windows and Windows applications in the cloud. You can run the full Windows stack on AWS, including Active Directory, SQL Server, and System Center, while taking advantage of 61 Availability Zones across 20 AWS Regions. 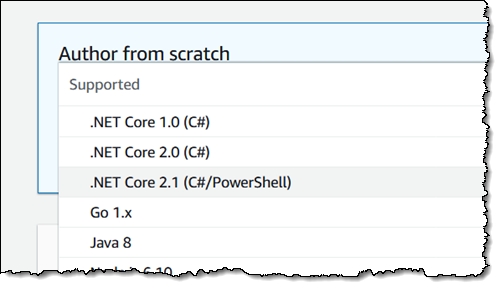 You can run existing .NET applications and you can use Visual Studio or VS Code build new, cloud-native Windows applications using the AWS SDK for .NET. AWS provides first-class support for SQL Server, encompassing all four Editions (Express, Web, Standard, and Enterprise), with multiple version of each edition. This wide-ranging support has helped SQL Server to become one of the most popular Windows workloads on AWS. 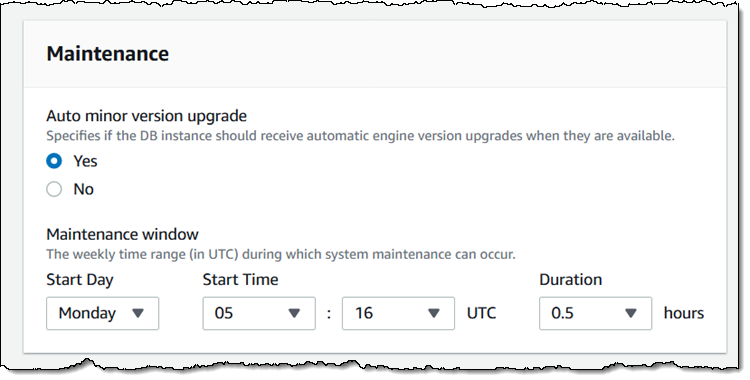 The SQL Server Upgrade Tool (an AWS Systems Manager script) makes it easy for you to upgrade an EC2 instance that is running SQL Server 2008 R2 SP3 to SQL Server 2016. 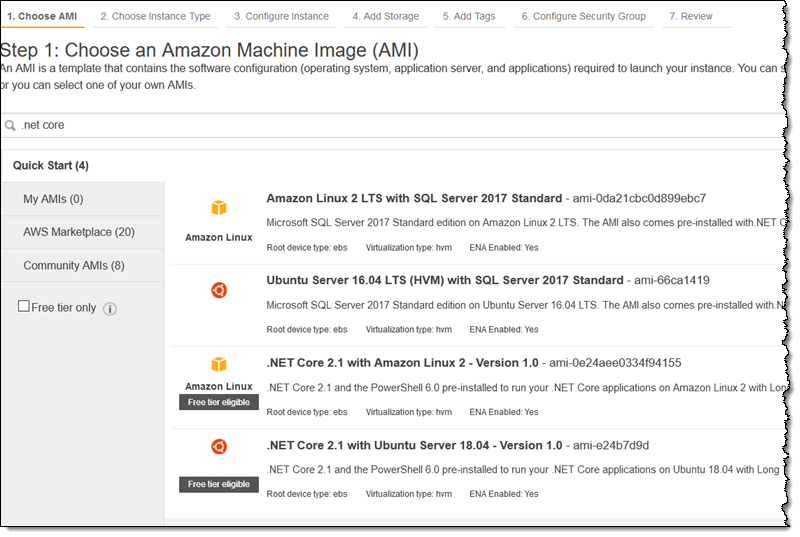 The tool creates an AMI from a running instance, upgrades the AMI to SQL Server 2016, and launches the new AMI. To learn more, read about the AWSEC2-CloneInstanceAndUpgradeSQLServer action. 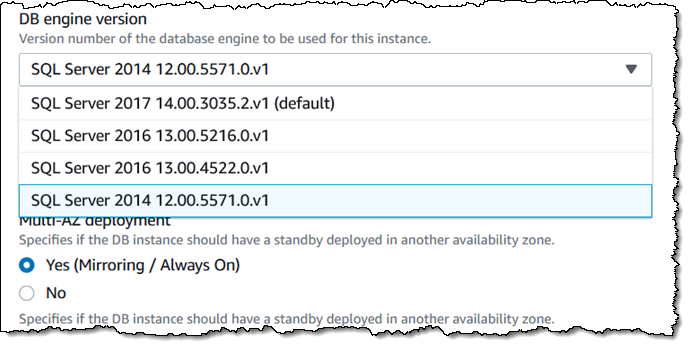 Before you upgrade a production DB Instance, you can create a snapshot backup, use it to create a test DB Instance, upgrade that instance to the desired new version, and perform acceptance testing. To learn more, about upgrades, read Upgrading the Microsoft SQL Server DB Engine. This is a very cost-effective option since you do not need to pay for Windows licenses. You can use the new re-platforming tool (another AWS Systems Manager script) to move your existing SQL Server databases (2008 and above, either in the cloud or on-premises) from Windows to Linux. 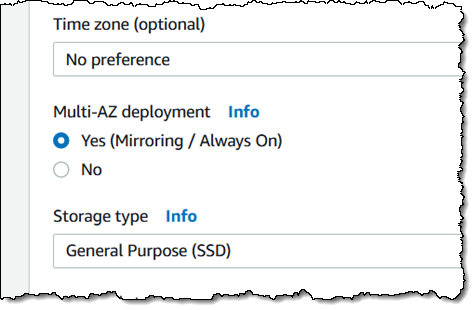 To learn more, read Multi-AZ Deployments Using Microsoft SQL Mirroring or Always On. Let’s talk about some features for developers! To learn more, read Working with C# and Working with PowerShell in the AWS Lambda Developer Guide. Your code has access to the full set of AWS services, and can make use of the AWS SDK for .NET; read the Developing .NET Core AWS Lambda Functions post for more info. DisplayName = "My First Topic Yeah"
The License Manager also provides you with information on license utilization so that you can fine-tune your license portfolio, possibly saving some money in the process! TSO Logic – This new member of the AWS family (we acquired the company earlier this year) offers an analytics solution that helps you to plan, optimize, and save money as you make your journey to the cloud. 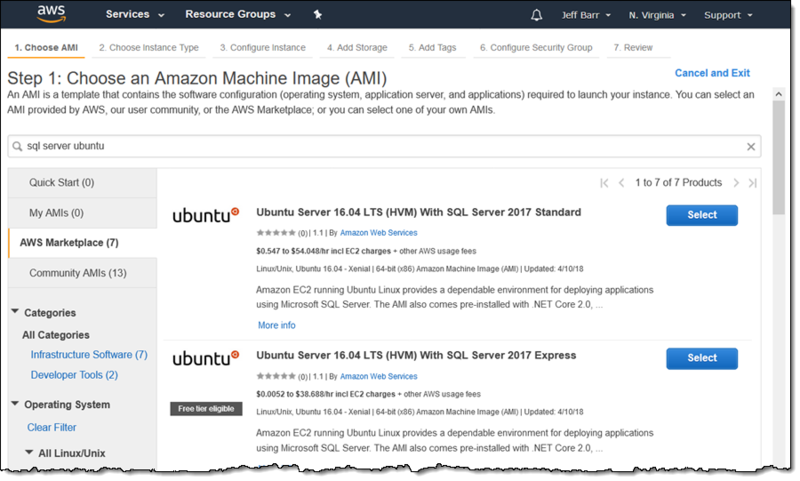 VM Import/Export – This service allows you to import existing virtual machine images to EC2 instances, and export them back to your on-premises environment. Read Importing a VM as an Image Using VM Import/Export to learn more. AWS Snowball – This service lets you move petabyte scale data sets into and out of AWS. If you are at exabyte scale, check out the AWS Snowmobile. AWS Migration Acceleration Program – This program encompasses AWS Professional Services and teams from our partners. It is based on a three step migration model that includes a readiness assessment, a planning phase, and the actual migration. AWS gives you a full-featured, rock-solid foundation and a rich set of services so that you can build tomorrow’s applications today! You can go serverless with the .NET Core support in Lambda, make use of our Deep Learning AMIs for Windows, host containerized apps on Amazon ECS or eks], and write code that makes use of the latest AI-powered services. Your applications can make use of recommendations, forecasting, image analysis, video analysis, text analytics, document analysis, text to speech, translation, transcription, and more. Amazon FSx for Windows Server – This fully managed native Windows file system is compatible with the SMB protocol and NTFS. It provides shared file storage for Windows applications, backed by SSD storage for fast & reliable performance. To learn more, read my blog post. AWS Directory Service – Your directory-aware workloads and AWS Enterprise IT applications can use this managed Active Directory that runs in the AWS Cloud. Senior Digital Campaign Marketing Manager – Own the digital tactics for product awareness and run adoption campaigns. Senior Product Marketing Manager – Drive communications and marketing, create compelling content, and build awareness. 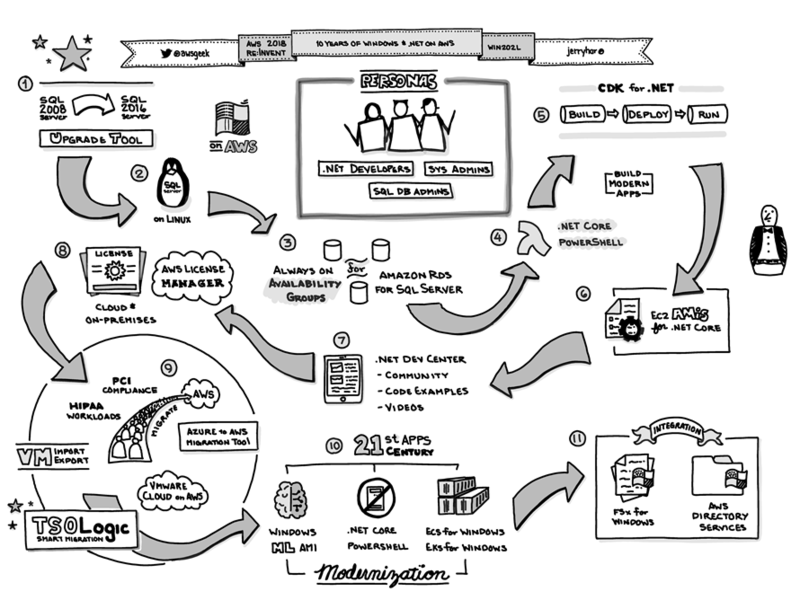 Developer Advocate – Drive adoption and community engagement for SQL Server on EC2. Our freshly updated Windows on AWS and SQL Server on AWS pages contain case studies, quick starts, and lots of other useful information. This entry was posted in Amazon EC2*, Launch*, News. Bookmark the permalink.